An entertainers dream home! Set on a quiet low traffic crescent on a huge pie-shaped lot with heated in-ground pool, stone patio and beautifully landscaped. 3+1 bedroom, 2.5 bath side split with oak hardwood and tile flooring throughout the main floor, large formal dining room with crown mouldings. Bright kitchen with appliances and breakfast island included overlooks the spacious family room with patio doors to fully fenced rear yard, large deck with outdoor speakers, pool, hot tub, large storage shed and lawn area! Main floor laundry and access to attached garage and paved double wide driveway. Hardwood staircase to second floor featuring 3 bedrooms including master with ensuite bath and walk-in closet. Finished lower level with guest room, large rec room and lots of storage. Forced air gas furnace, central air, in-ground irrigation system and much more. 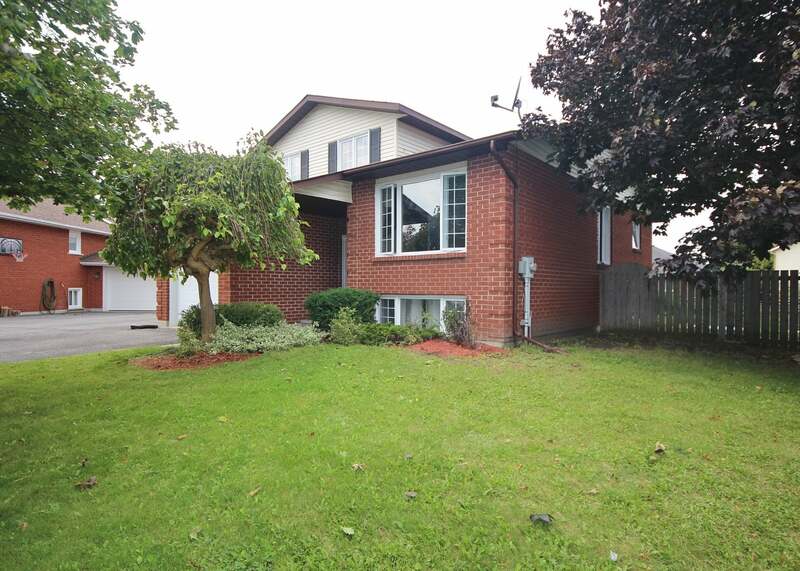 Excellent neighbourhood just steps to Meadowbrook Park and central to everything! A must see home. Lot Size 45.90' X 114.61' Irreg Sq. Ft.